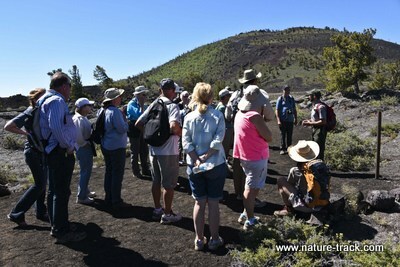 Ranger-led hikes, like this one at Craters of the Moon National Monument, are one of the high points of a visit to a national park, monument or historical area. The rangers are well versed in the scenery, wildlife, natural wonders and history of the areas. What do Yellowstone National Park, Gettysburg National Military Park and the California Trail all have in common? Simple. All are managed by the United States National Park Service. 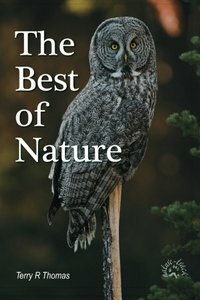 While places like Great Smoky and Yosemite National Parks and Dinosaur National Monument often steal the limelight, the National Park Service also manages national recreation areas, national lake and seashores, historic parks and sites, national trails, historic battlefields, national preserves and parkways. 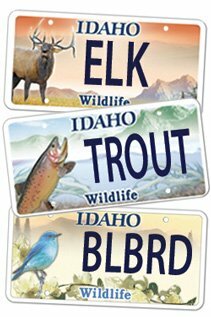 They have a presence in every single state and U.S. territory in a system that spans 84 million acres and 401 units. Only 137 of these are the big name parks and monuments. The economic impact of the properties managed by the National Park Service for the American public is huge. The Park Service employs about 16,000 full time personnel and adds another 4,000 seasonal workers each year. Their 3 billion dollar budget generated 30.1 billion dollars and created an additional 252,000 jobs in 2011. Two hundred and twenty one thousand volunteers also contribute 6.4 million hours annually. All this is relevant because the National Park Service is celebrating a significant birthday in 2016. On August 25, the National Park Service will turn 100 years old. Considering that only 0.0173 percent of citizens in this country reach the century milestone, 2016 is an important year for the Park Service and they have plans for a yearlong celebration. First is the get in Parks Free Pass. Your pass is a 4th grader. The Park Service has determined that 4th grade is the perfect time for kids to be able to appreciate national parks of all kinds. ALL 4th graders and their families will be admitted FREE into ALL national parks during 2016. I happen to have a grandson who is a 4th grader but I already buy the America the Beautiful Pass for $80. I consider it the best deal around. 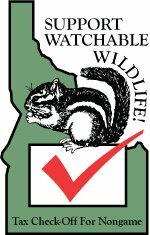 It covers my entrance fee for all nationally designated fee areas within the Park Service system and also is the golden key to National Wildlife Refuges as well. Even if you don’t have the America the Beautiful pass or a handy 4th grader, there are still going to be 16 entrance-fee free days in 2016 as a celebration. January 18, April 16 through 24 (National Park Week), August 25 through 28, September 24 and November 11 will all be free. Of course, the Park Service will have tons of celebrations on August 25th, but they also promise to hold special events in many locations throughout the year to celebrate the beginning of the next 100 years of service. You may have the opportunity to see what it is like to volunteer on a project, get in on a behind-the-scenes tour or participate in an extra special Ranger-led experience so be sure to check before you visit.